You may have missed it because it was such a quick deal the first time around, but Best Buy had an offer which would give users at least $200 trade-in value for an iPad 2 or 3 when they purchased a Retina iPad. Well, if you missed it the first time, Best Buy has brought back the deal which will run through August 3rd. The deal will work basically the same way as it did originally. 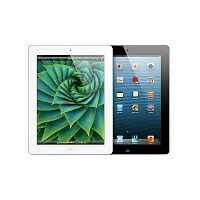 If you have an iPad 2 or 3 that is in good working order, Best Buy will give you at least $200 towards a new iPad. The only note is that this time around Best Buy is blatantly telling users with iPads that have either cracked displays or water damage that they shouldn't bother trying. We're not sure why those people wouldn't have been turned away by the phrase "in good working order" anyway. If you want to get in on the deal, just find a local Best Buy that is participating in the offer and head in before August 3rd. Yeah, but you'll hate going from a 10 inch to a 7 inch screen. yeah trade that nasty pad with Nexus 7 (2013)! iPad= Best experience on a tablet. 375,00 apps optimized for 9.7 or 7.9 inch canvas. iPad=Overpriced tin can, Android tablets can do so much better with higher resolution displays and advanced dynamic OS, coupled with better Hardware. The Play Store has 1 million apps for you to enjoy and they scale very well with tablets too. They got so many because people are: A. Waiting for the next model. B. The market is over saturated with a bunch of them. C. People want a cheaper tablet like the Nexus. There are tablet only apps on the play store. Get yourself a Nexus tablet. Renting textbooks is on the way for Android. Everyday hundreds of more apps are optimized for tablet. Save a few hundred dollars, too.